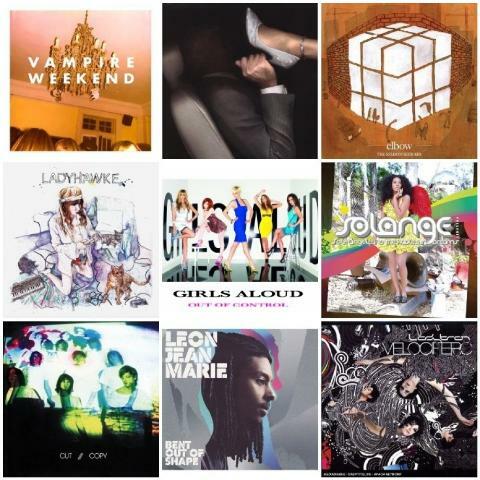 2008 was a great year for pop music, singles and the chart. I feel like I’ve missed out on a lot of albums but the above are my favourites. I never really knew Elbow before but this album was just brilliant – musically and lyrically, Vampire Weekend continues to be exciting, bouncy and gleeful, and Neon Neon was a very strange idea turned into a great reality. As ever I could endlessly ponder my songs of the year, and I’m really weird in how I define things. So while I might love ‘One Day Like This’ and ‘I Lust U’, I’ll include those via their respective albums in my albums list above because I don’t really think of them as singles just part of an album. Song of the Year: Little Boots – Stuck on Repeat. It’s been out a bit but not properly properly so I was cautious about putting this in the 2008 chart, but it’s the only song that makes my jaw drop, still nearly a year after Victoria first sent it round. Totally brilliant and a huge year awaits.